Wynantskill-Joan M. Angrisano, 79 passed away on Monday November 5, 2018 at St. Peter’s Hospital. Born and raised in the Burgh, she was the daughter of the late Ralph Nesta and Florence Harrington Nesta and the loving wife of 57 years to Joseph Angrisano, Sr.
Joan graduated from Lansingburgh High School, class of 1957, Becker Junior College in Massachusetts and Albany Memorial School of Nursing. She worked for over forty years for Dr. Anthony Passaretti, Dr. Wesley Pelkey and Dr. Zachary Passaretti as their office manager. 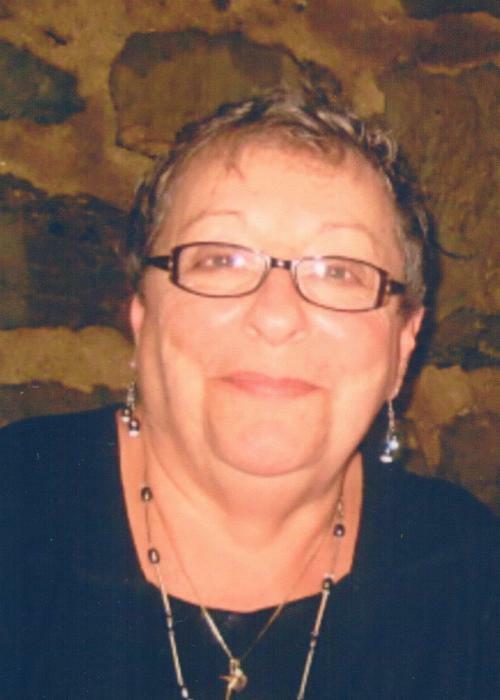 Joan was a longtime member of the Wynantskill Fire Department Ladies Auxiliary, she was a sports enthusiast, she loved her family and never missed a game of her sons or grandchildren. Our Team was her Team. In addition to her husband Joseph Angrisano, Sr., she is survived by her sons Joseph (Mary) Angrisano and Stephen (Mary Ellen) Angrisano, her grandchildren Anthony (Paige) Angrisano, Stefanie (Matthew) Henderson, Vito (Kristi) Angrisano, Gina (fiancé James Wisniewski) Angrisano, her great grandchildren Logan Henderson, Parker Henderson and Nico Angrisano, her brother in law John Angrisano, her sisters in law Catherine (late Ike) Horton, Gloria (late LeRoy) Lester, Patricia (late Louis) Angrisano and Judy (late Michael) Angrisano, also survived by many nieces and nephews. Joan was predeceased by her brother Ralph Nesta. Family and friends are invited and may call from 4:00 pm to 7:00 pm on Friday November 9, 2018 at the Wynantskill Funeral Home, 294 Whiteview Road, Wynantskill, NY 12198. Funeral service at 10:00 am on Saturday November 10, 2018 at the funeral home, Reverend Thomas Holmes will be officiating. Entombment will follow at St. Mary’s Cemetery, Troy. The family would like to thank the nursing staff and Reverend John Tallman at St. Peter’s Hospital for their compassionate care giving to Joan. Memorial donations in memory of Joan may be made to Wynantskill Fire Department Ladies Auxiliary c/o Janice Kerwin 522 Church Street, Wynantskill, NY 12198. Please visit www.wynantskillfh.com.